What is a Wyoming Non-Disclosure Agreement? Wyoming Non-Disclosure Agreement: What Is It? 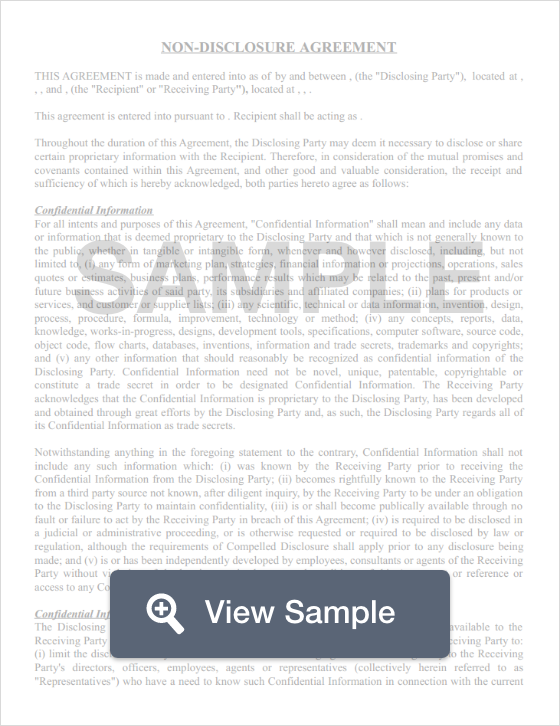 A Wyoming non-disclosure agreement is referred to as a confidentiality agreement. A Wyoming non-disclosure agreement is a legal document companies use to protect their confidential information. It is signed by employees or contractors who would then be bound by law to not disclose the information. Non-disclosure agreements are governed by Wyoming’s Uniform Trade Secrets Act, WY Stat §§ 40-24-101 through 40-24-110. Confidential information is referenced in a Wyoming non-disclosure agreement as a trade secret. The Wyoming Uniform Trade Secrets Act provides the State’s definition of a “trade secret” as information including a formula, pattern, compilation, program, device, method, technique, or process with its own potential or actual monetary value. The value is ascertained by having information that isn’t available to others. Any information that a business considers as a trade secret should be protected using reasonable methods. Wyoming’s Uniform Trade Secrets Act also provides helpful information on what businesses should do to protect the secrecy of their confidential information and the statute of limitations for legal actions related to the NDA. Businesses should take every possible step to protect their trade secrets. In addition to using an NDA, they should also consider using a Wyoming noncompete agreement.